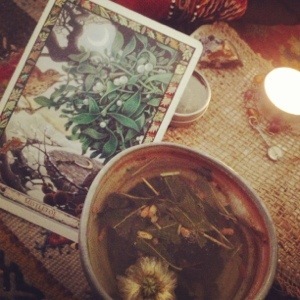 Medicine of mistletoe- healing has begun, difficulty has passed, nourish seeds of hope with the sacred flame of inspiration, guidance and fertility. Over tea and meditation in the morning. Remembering this is the way to peace .